The collage art form has been in existence since a very long time. In fact, the ancient Chinese were known to use collage in their art dating back to 200 BCE. The interesting bit is that this art form, while extremely old, still hasn’t lost its unique touch in the world of today, and people are all the more fond of using it now to depict interesting and memorable events in their lives. Come up with a concept or a theme that you would like to go with. Have a background in mind that you would like your collage to form onto. While there is a huge chance that you will completely end up covering your background, you should still choose a suitable one that has a neutral color. 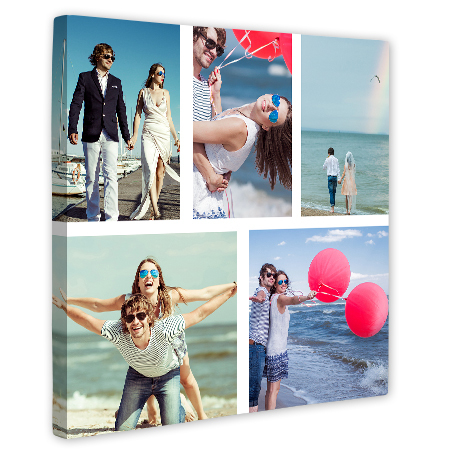 If you are going with a canvas, then might as well go with the largest one possible to have the best snapshot of your memories and make the most of the money that you end up spending. Have a selection of the photos that you wish to place on your canvas ready so that when the time comes you can send them instantly. Make sure that you cover your canvas as much as possible or until you happen to be extremely satisfied with it. What other day would have as special memories as your wedding day. It would be great idea to create your wedding photo collage on Canvas. Your precious moments and ultimate photographs on single canvas will allow you to feel those special day moments in your everyday routine life. Have a collage of the most memorable events that happened in year and you can then continue doing this on a regular basis. This will help in making sure that you can relive your beautiful memories over and over again. There are times where you must have travelled to specific destinations with your friends or loved ones and ended up having the time of your life. You can hence capture your most beautiful travel or adventure related memories and have them on canvas. You can have a special collage canvas consisting of the best memories you have had with some of your closest friends. This will help in keeping your friends with you for the rest of your life and you can relive memories with them over and over again. You need to keep in mind that when you are getting a canvas made, you need to decide on the measurements that you would want for a particular canvas. 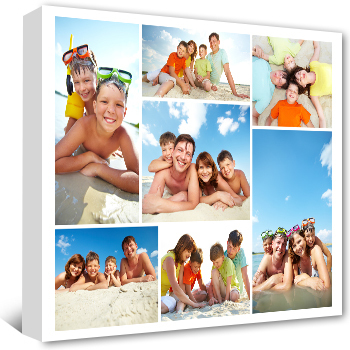 This will help you design Custom Size Canvas Photos. You can also mix and match canvases of different measurements to form one collage.